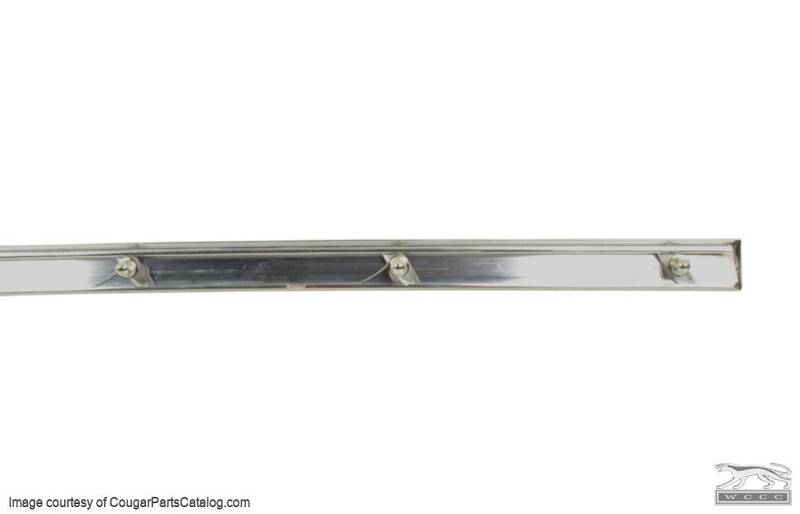 Reproduction metal rear deck / trunk lid moulding / trim clip for the Mercury Cougar. 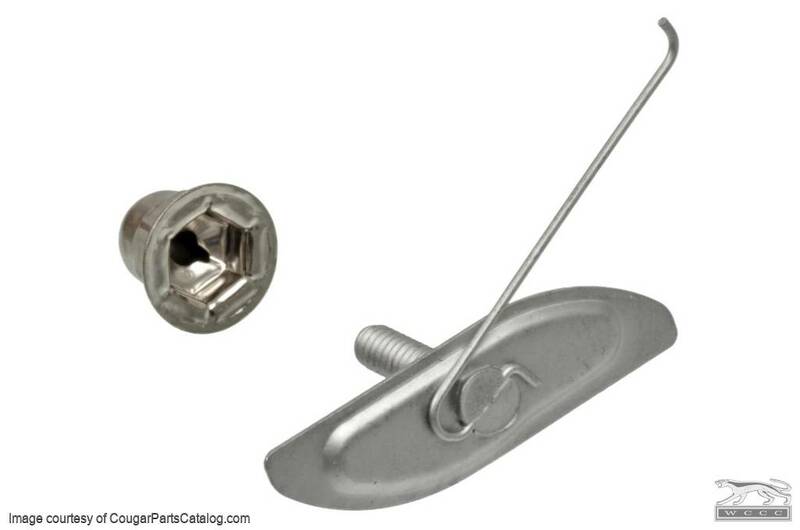 This clip comes with a correct looking nut and works with the 1967-68 aluminum trim and the 1969-70 stainless steel trim. 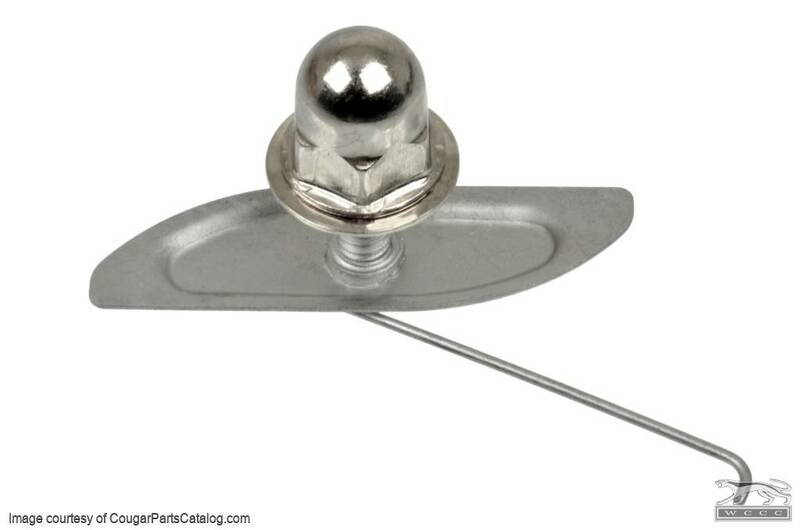 This unit measures about 1-7/8" long with a stud height of about 3/4". 7 clips needed per trunk lid. Note that this clip features a stud that is a little longer than what was factory. If you have a swollen lip (rust) on your deck this will be an advantage to you, if not you will have to arch (bend) the clip to make the stud recess into the trim a little. Another option would be to cut a little from the length of the stud. Skip trying to use the originals. These work great and are not that costly. Get the acorn nuts with them for that new look. Good quality material and craftsmanship. the stud part of the clip is too long for the cone nuts. You would have to ether grind the top of the nut for the stud to come through or cut the stud down aprox 1/8 " for the cone nut not to bottom out prior to making contact with the trunk lip. 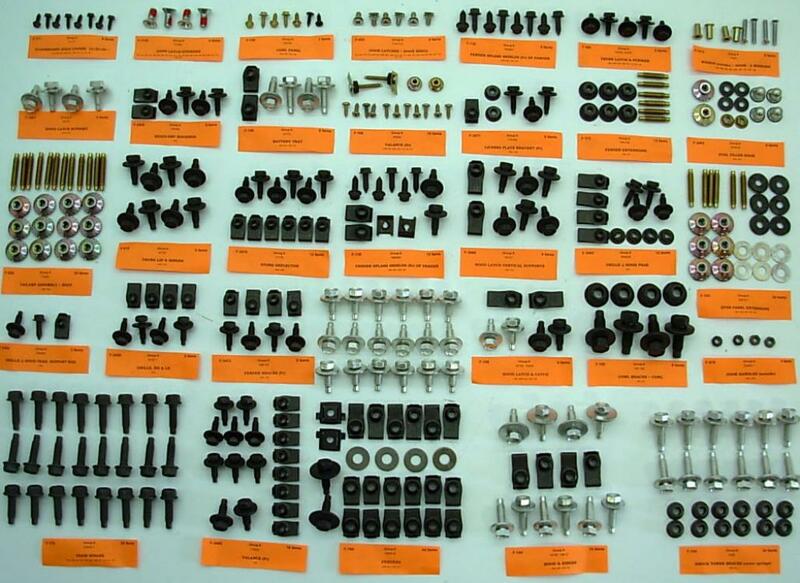 product was fine just missing a few mounting nuts but was able to find some used ones from my car.